In 2016, Ming-Tung Hong started her PhD in Computer Science at Freie Universität Berlin. Her research is in the area of sensemaking based on semantic annotations in computer-supported cooperative work (CSCW). She focuses on augmenting human sensemaking process by allowing humans interacting with machine-recommended information in favor of exploring knowledge from collective intelligence. Furthermore, humans interact with annotations from other individuals beneficial to build up and to reflect knowledge in their mind. 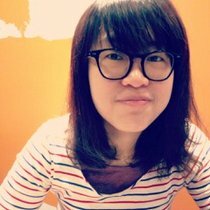 Before she joins the Human-Centered Computing Lab (HCC.lab) at FU Berlin, she was working at MPIWG as an IT developer. She designed and developed web-based applications for historians to support their scholarly practices. Hong, Ming-Tung/Müller-Birn, Claudia (2017): Conceptualization of Computer-Supported Collaborative Sensemaking. Poster. In: Proceedings of Companion of the 2017 ACM Conference on Computer Supported Cooperative Work and Social Computing (CSCW '17 Companion). New York: ACM, pp. 199–202.